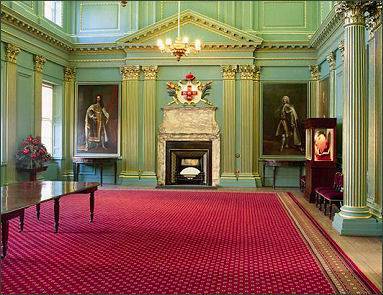 The Mansion House, the first civic residence in England, was built as a home, and a place for the Lord Mayor of York to entertain visitors to the city, and also to house the civic collections. Still used today for the same purpose, the Mansion House is also open for visitors to explore and regular tours are available. 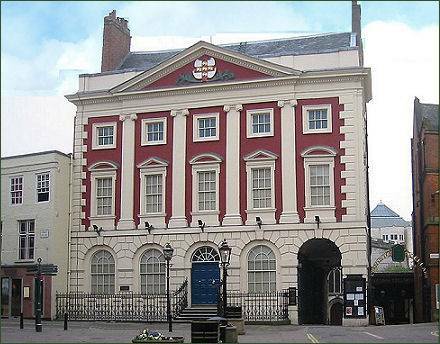 The Georgian style house stands in St Helen's Square, where Coney Street and Lendal intersect in the city centre, next to the site of the old Roman Praetorian Gateway. 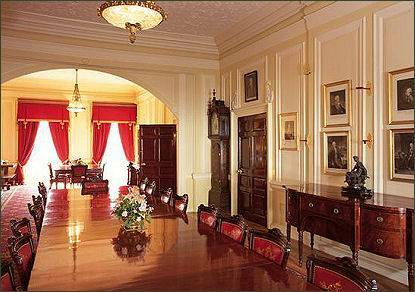 The Mansion House is the earliest purpose built house for a Lord Mayor still in existence and predates the Mansion House in London by at least twenty years. Its bold frontage of pilasters is surmounted by the city's coat of arms. The foundation stone was laid in 1725, the building was completed seven years later in 1732, the architect for the building remains unknown, although the frontage may be by William Etty. 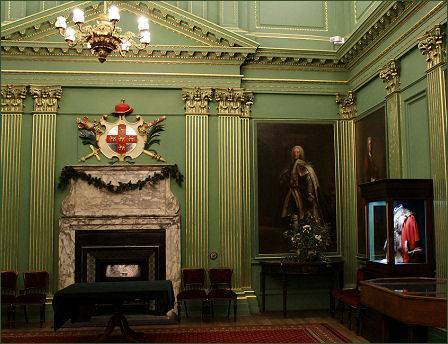 In 1988 the Mansion House was restored by the York Civic Trust. A striking building with an elegant, richly furnished interior, it exhibits a wide collection of silver, antique furniture and paintings. The civic regalia includes a seventeenth century mace and two swords. York's great sword of state, dated 1416, once belonged to the Holy Roman Emperor Sigismund and was presented to the city of York in 1439 by Henry Hanslapp, the sword had previously hung over the Emperor's stall in St. George's Chapel, Windsor Castle. The Bowes Sword was donated to the City of York by Sir Martin Bowes, Lord Mayor of London 1545.